For the Love of Bows, Gloves and Snack-Scots! PLANO, TX (March 27, 2017) – The beginning of spring means the return of time-honored traditions like donning the trendiest fashion styles to capture the perfect family photo. This spring, Cheetos, one of the flagship brands from PepsiCo’s Frito-Lay division, is unveiling the Cheetos Spring Snack Line – a collection of the finest fashions for your family snapshots and, of course, the most enviable social posts. Every year, families try to put a new twist on pastel color palettes, floral prints, seersucker suits and classic accessories. 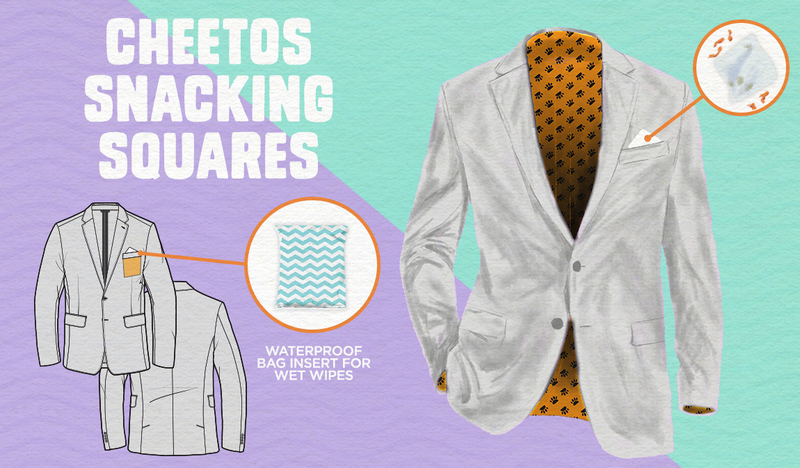 The Cheetos Spring Snack Line features festively designed apparel and accessories that keep you looking good, snacking like a pro and protects your Easter best from any residual Cheetos dust. Fashionable fans can enter for a chance to win one of the must-have pieces from the collection on the Cheetos Facebook page: www.Facebook.com/Cheetos. Snackscot – Ascots are for men with true fashion acumen. 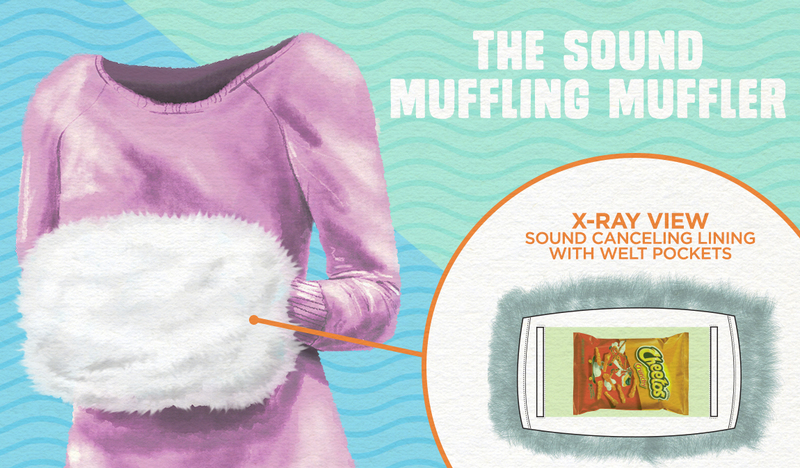 Worn in perfect proximity under your mouth, the Snackscot features a pouch for storing Cheetos that makes it easy to snack between snapshots. 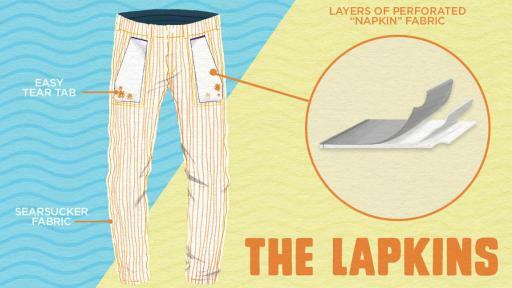 Cheetos Lapkin Pants – Seersucker trousers with fancy, and detachable, napkin panels right in your lap. 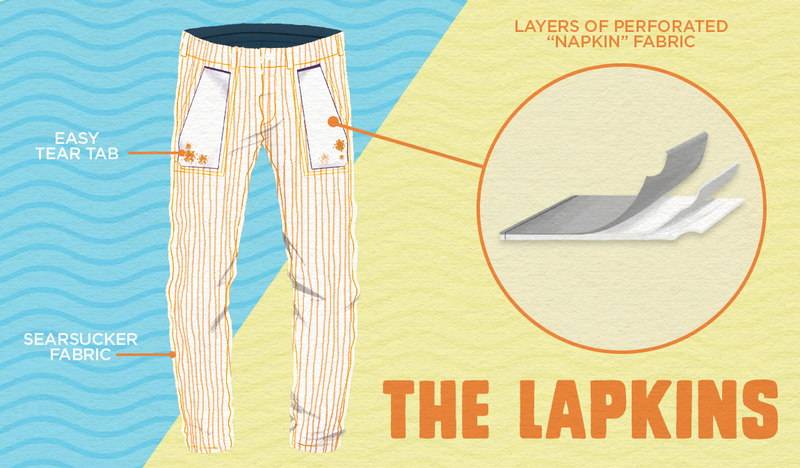 The perfect pant to wear while snacking to keep things clean and couture. 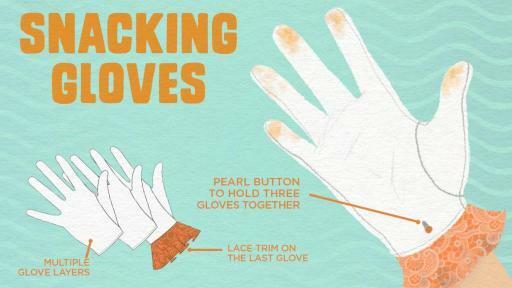 Snacking Gloves – White Easter gloves that are actually three pairs in one. Don’t fret when you get Cheetos dust on one pair, simply pull them off to reveal a clean pair underneath! 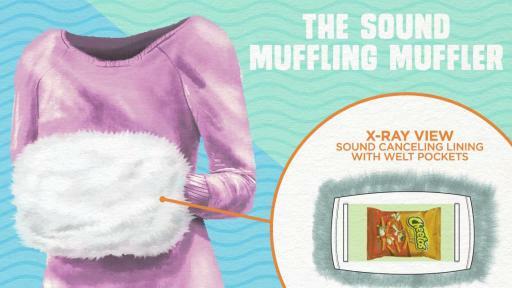 Sound Muffling-Muffler – A fancy, faux fur hand muffler that does exactly what the name suggests - muffles the sound of the bag of Cheetos hidden inside. 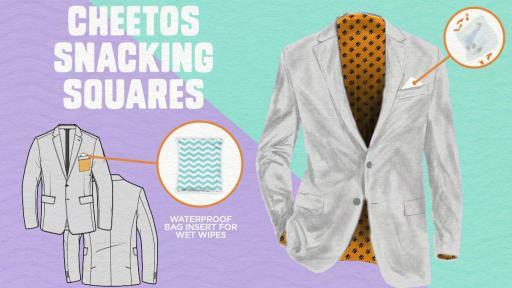 Cheetos Snacking Squares – The classiest pocket squares of the season are refillable cheese-dust cleaning napkins that come pre-attached to a blazer. Ladies Secret Shoulder Sweetos Stasher – Time to bring back the shoulder pads! They convey power, confidence, and serve as the perfect place to stash a few Cheetos. The Parasol Pocket– Your Easter finest isn't complete without an elegant parasol. Be prepared for showers or sunshine - and hunger - with the “Parasol Pocket.” 1) Stash bags of Cheetos in the hidden pockets inside the umbrella, 2) look up periodically to say: “hmm suns out,” and 3) open the umbrella and enjoy some Cheetos. Easter Hiding Hat – Perfectly on trend, the wide-brim flatters your face, and seamlessly hides your Cheetos within the decorative flowers. 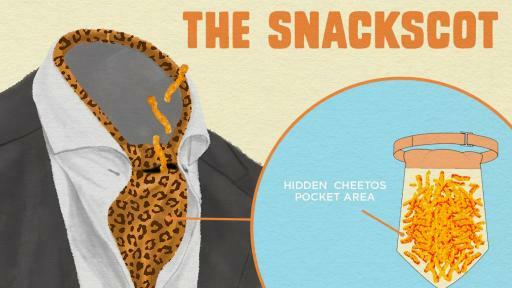 Snackspenders – A pair of trend-setting suspenders with hidden pockets for storing Cheetos! Snack Stasher Dress – Easter dresses aren’t complete without Easter bows. The Snack Stasher Dress features an oversized bow the perfect size for you to stash you favorite cheesy snack. Cheetos spring-time snacking will be just as versatile as Cheetos spring-time fashions, and the flavor is twice as sweet! The fan-favorite Sweetos Cinnamon Sugar Puffs are back again alongside the all-new flavor, Sweetos Caramel Puffs. Both are available for a limited time in stores nationwide. Betabrand.com is a crowdsourced clothing community that releases new designs daily. Notable inventions include: Dress Pant Yoga Pants, Executive Hoodies, Gay Jeans, Space Jackets, Paparazzi-fighting fashion, Black Sheep Sweaters, Poo Emoji Dresses, The Suitsy and many more.